Do you own a home that's big enough to host a wedding? 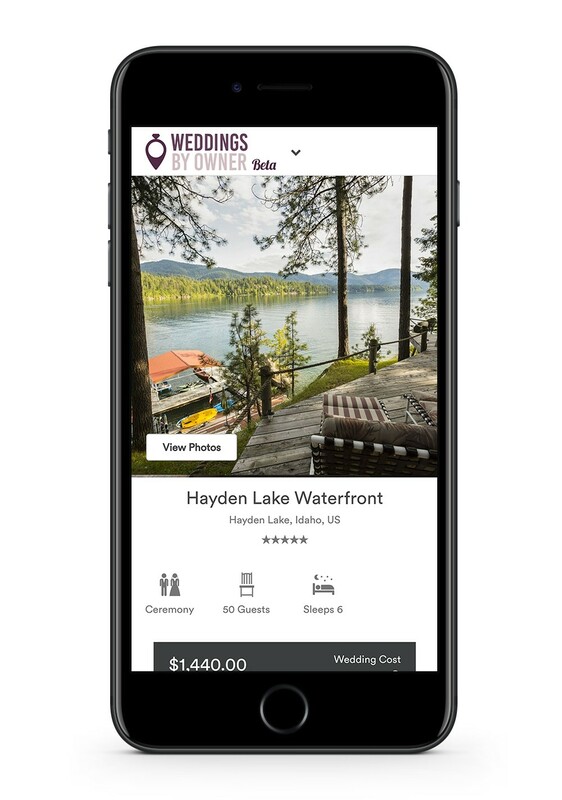 A new startup out of Spokane, WEDDINGS BY OWNER, is poised to become the Airbnb of wedding venues, pairing homeowners with couples looking for a place to get married that's less restrictive about who can cater or how they can decorate. Weddingsbyowner.com was started by Connor Simpson and Jordan Allen, both of whom have a background in the vacation rental market. So far, the site, launched early this year, has more than 30 venues in Eastern Washington, North Idaho and even a few in Thailand. The ultimate goal is to have venues all over the world, Simpson says. The first wedding already booked through the site is scheduled for May. "Our niche is that we're tapping new inventory for venues," Simpson says. "The price point we're bringing on is going to be a lot lower than standard venues, and they're completely customizable." Owners don't pay a fee to list (the site marks up the prices that owners ask for and takes that percentage) and the site provides all the information about the owners' preferences and rules. Weddingsbyowner is updated live, so there's no time wasted calling to see if a certain date is available, Simpson says. "We're trying to provide all that information up front and make that process less of a headache." The original print version of this article was headlined "Say "I Do" to Venues for Vows"